Two editors join the team. 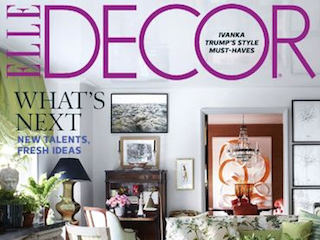 Elle Decor has added two to its team. Details are below. Mieke ten Have is returns to the magazine as design editor-at-large. Ten Have most recently served as Vogue’s home editor. She served as Elle Decor’s associate style editor from 2010 to 2013. Senga Mortimer has been named contributing design editor. Mortimer will continue her in her role as House Beautiful editor-at-large.